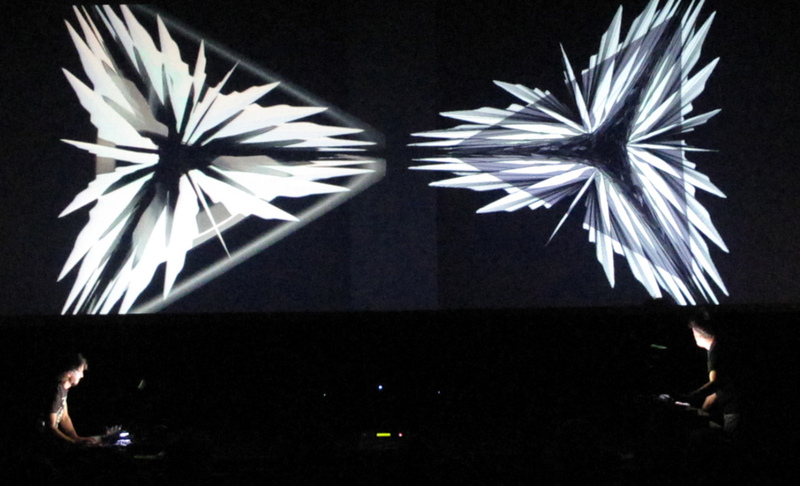 Alchimia is a live interactive cinema work that draws equally from the visual and sonic arts. 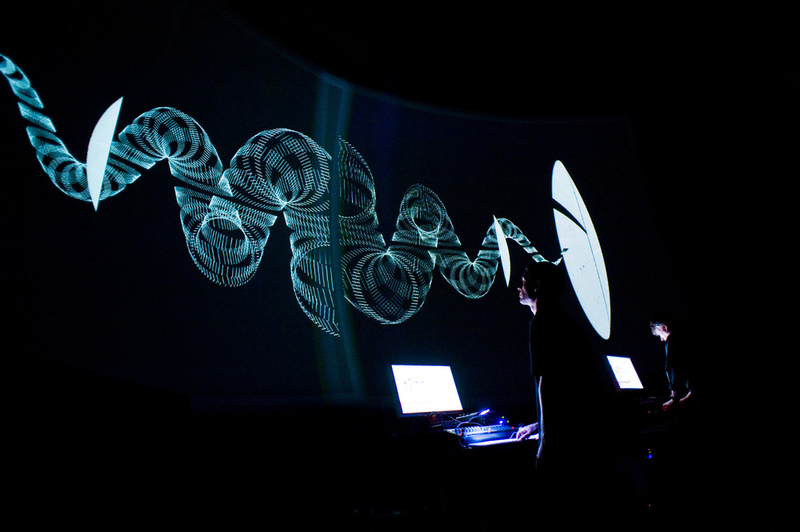 This networked duet explores the use of infrared sensors, microphones and MIDI controlled instruments to animate an evolving matrix of virtual 3D forms, which are imbued with life-like aesthetic properties. 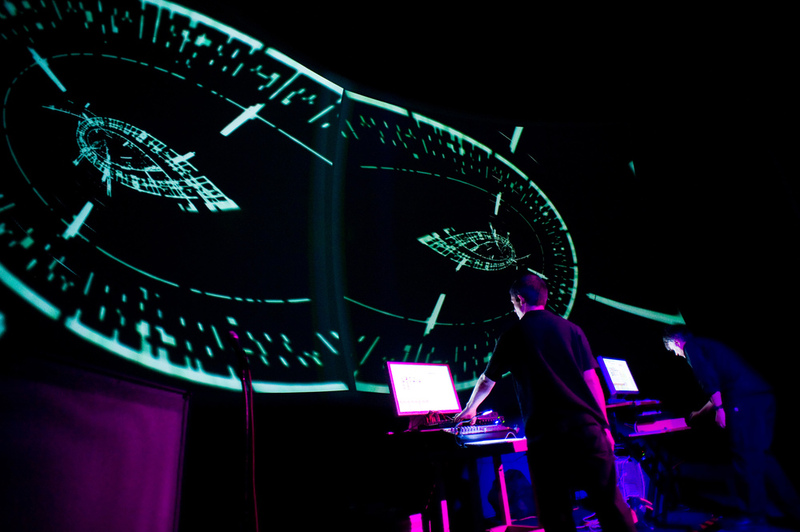 Situated at the nexus between the modernist tradition of visual-music and current transdisciplinary exploration fusing media art and science, Alchimia integrates multiple techniques including realtime 3D animation, mathematical visualization, recombinant non-linear databases, artificial life simulation, image to sound transcoding, complex data feedback structures and additional algorithmic processes used to generate both sonic and visual surfaces, skins, and textures. 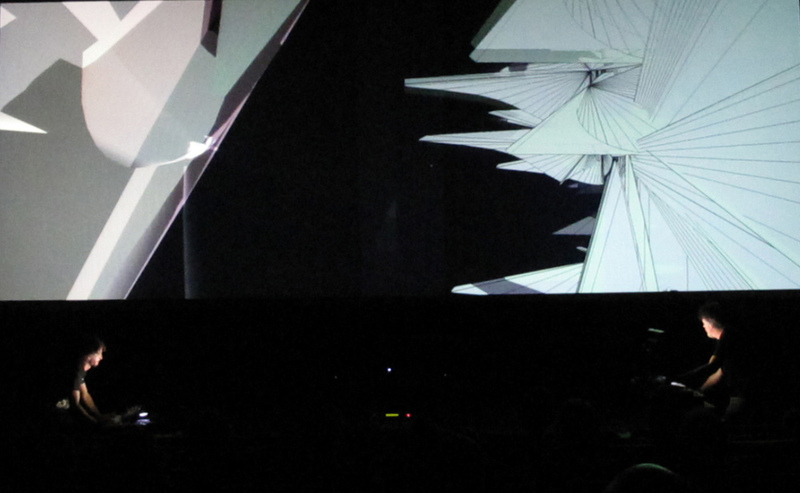 In Alchimia the 3D forms are capable of emitting their own sounds resulting in a surprising array of sonic expressions induced by the shape, size, luminance, and movement of the visual object itself. The kinetic behavior of these "synthetic organisms" includes morphogenic expansion and contraction controlled by the hand gestures of the performers or automated by a bank of sixteen low frequency oscillators. 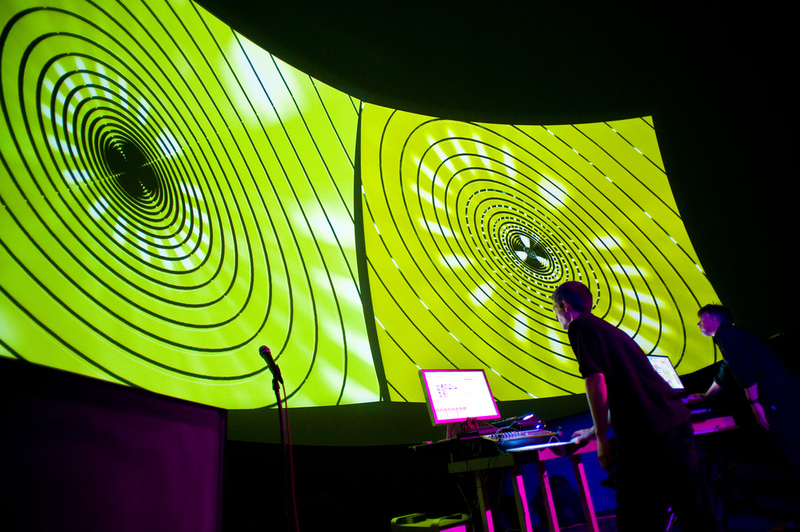 Alchimia is unique in that the sound is not an illustration of visual properties, but rather the direct and simultaneous result of manipulating the visual field. 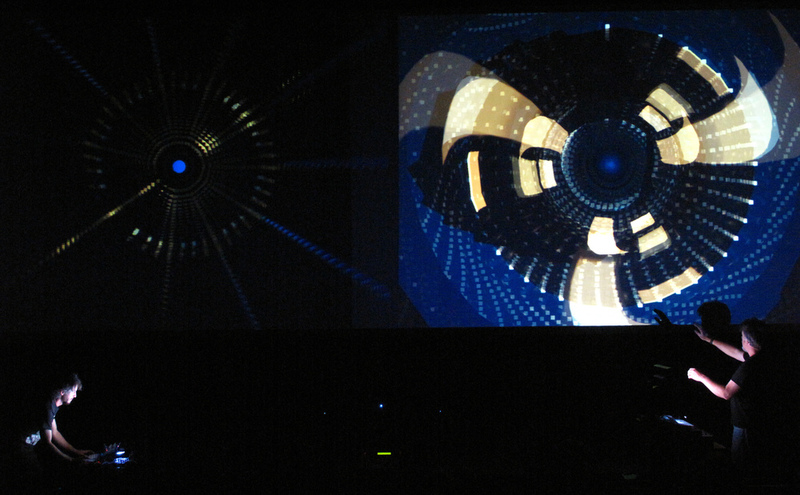 To further complicate the often unpredictable behavioral properties, the organisms or avatars are programmed to be sonically sensitive to each other and to external acoustic inputs initiated by the performers to evoke a wide range of "life-like" recursive audio, visual, and kinetic phenomena. The result is a theater of alchemical transformation and emergence exsisting within an intricate cybernetic system. 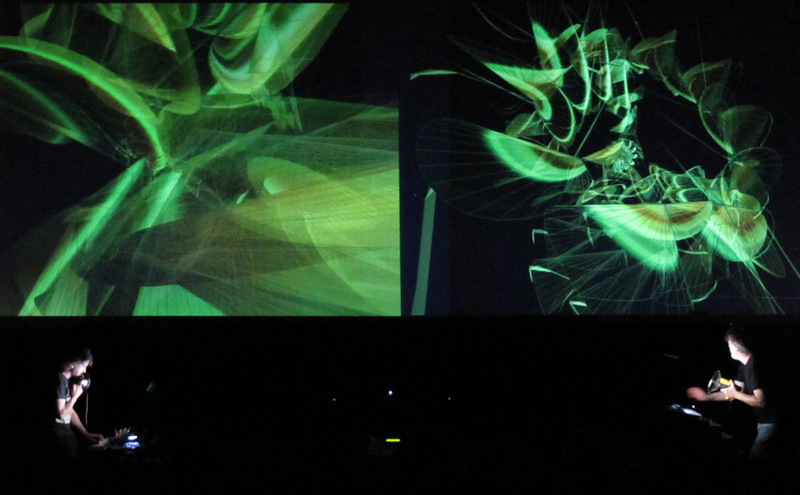 The generative performance instrument utilized in Alchimia makes unique demands on the music-video performers, who find themselves containing or reining in chaotic behavior, as often as nudging or stimulating their independent-minded avatars to "mutate, dance, and sing". The endlessly folding objects, synthetic life forms, or theoretical geometries defy easy anthropomorphic categorization. Organic images of cellular life, nerve networks, serpentine colonies, collapsing architectures, plant structures, teeth, bone, and explosive phallic dystopias may come to mind.